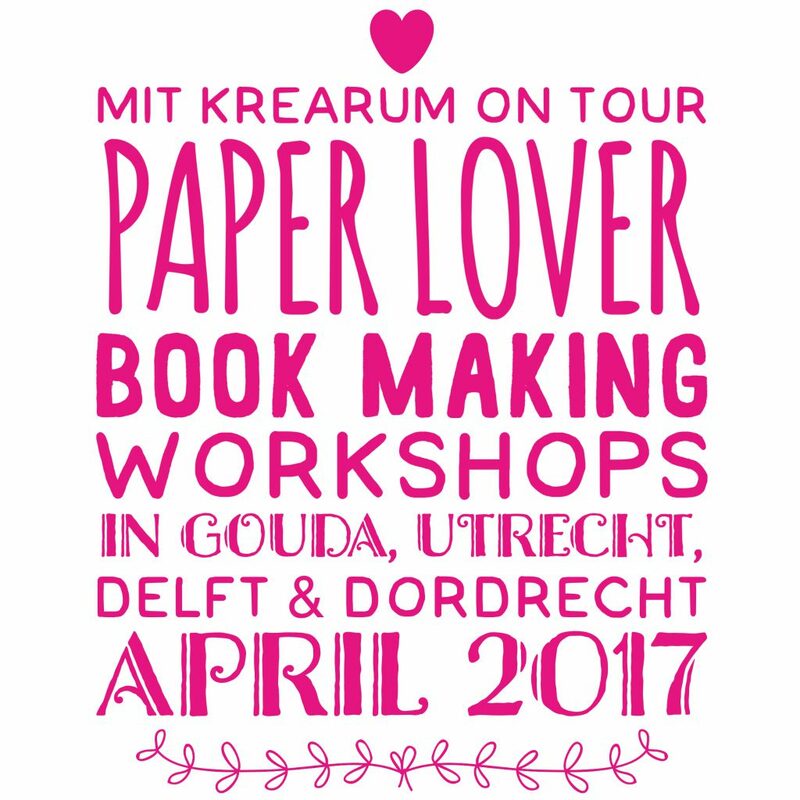 I am so happy to announce that I will travel to the The Netherlands in the beginning of April 2017 and host Paper Lover Book Making Workshops in English. 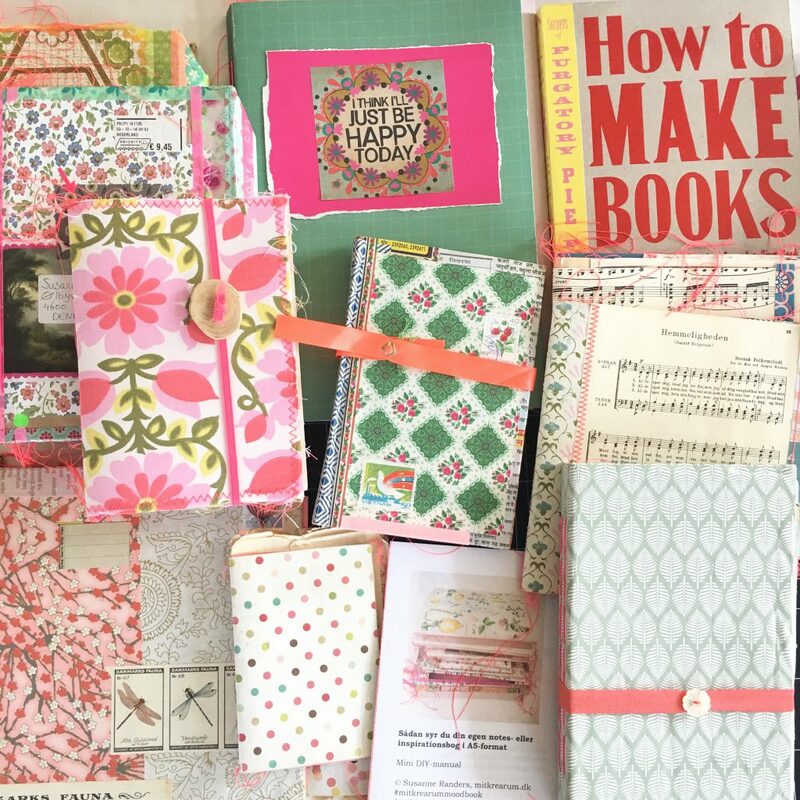 A workshop where I will guide you through all the steps of making your very own unique hand bound book with lots of pretty paper inside. Do you dream of creating your own inspiration book or notebook? A unique book that no one else has – that totally represents you and everything that you like? A book filled with inspiration, drawings, dreams or secrets that you can spend hours playing with or looking in…? I teach you how to sew your own personal book in A5 size with all kinds of new and recycled paper, old books, music sheets, magazines, scraps or pretty illustrations. I promise you that you will bring home your very own unique and special hand bound book, filled with your DNA. Please read more about my workshop tour here – or go to my etsy shop to buy your ticket. Hope to meet a lot of Dutch paper lovers on my tour around the Netherlands. I am a paper lover, book maker, dreamer and doodler. In 2014 I made 365 mood boards, and in 2015 I made doodles for Flow Weekly for you to color – and I felt totally in love with the Netherlands and the Flow Magazine world. I live in Denmark in a village 40 km’s south of Copenhagen with my boyfriend and my flower garden and green house. I work as an activity coordinator at a nursing home – and host a lot of paper lover workshops in the weekends. I have only been in touch with my creativity for four years. Before that I was working behind a computer and dreaming about living a creative life. Now I live my dream. And all my mood books play a very big role in getting in touch with and unfolding my creative path. Dette indlæg blev udgivet i DIY, Kreativitet, Workshops og tagget Flow, Holland, Kreativitet, Kunsten at være kreativ, Kunstnerstævnemøde, Mit krearum on tour, Mixed media, Mood book, Workshop den 7. marts 2017 af mitkrearum. 2 tanker om "Mit krearum on tour in the Netherlands in April 2017"
Skønt som det kører for dig ??? ?